PERSONALISED DIAGNOSIS IS THE ESSENTIAL FIRST STEP OF EVERY KÉRASTASE CONSULTATION. 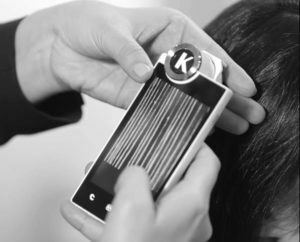 Since 1964, the core mission of Kérastase has been to offer both hairdressers & guests professional & sensorial solutions for scalp & hair health. This camera is a precision tool with the latest technology in the professional hair care industry that is able to zoom into the hair & scalp up to 600x larger than usual. It enables us to see a magnified view of the condition of the hair and scalp in order to diagnose its true health and prescribe the best hair care solution. Treat and correct scalp-related concerns such as sensitivity, itchiness , dandruff, hair loss and oily roots. On average, 100 hairs fall naturally every day. Excessive hair loss starts when significantly more than 100 hairs are consistently lost each day. Many factors can lead to hair loss, one being the accumulation & hardening of collagen. The hydrolipidic film that covers the entire surface of the skin, it is composed mainly of sweat, sebum and water and its main function is to defend the skin against bacteria. acting as an external protective barrier. Excessive hydrolipidic film is what causes an oily scalp. 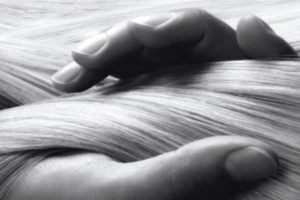 Oiliness of the scalp can depend on numerous internal and external factors, but treatment can significantly reduce oiliness on the scalp.